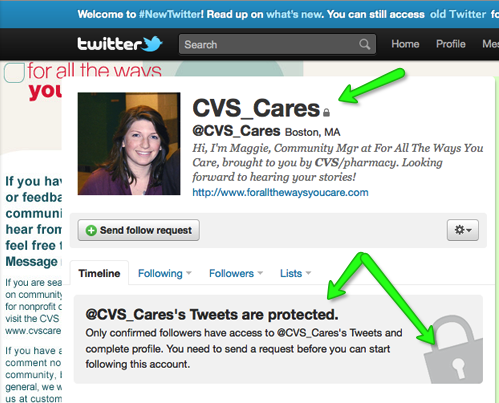 Apparently, CVS doesn’t care. And they’re actually not “Looking forward to hearing your stories! A “request to follow” sent a week ago, has gone unanswered. A locked Twitter stream for a Community Manager is not only an oxymoron, it’s one of the Internet’s silliest moves, perhaps ever. FAIL!